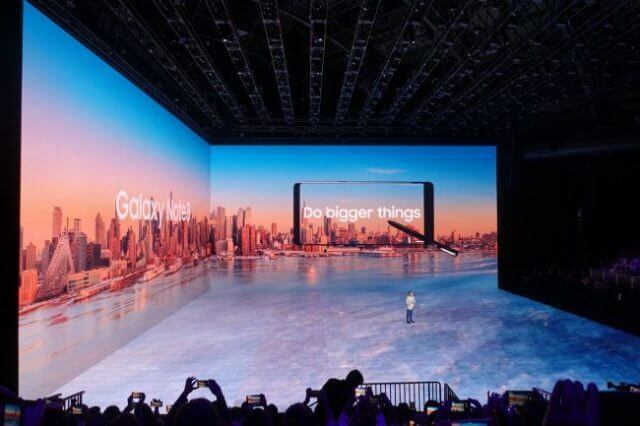 Yesterday the president of Samsung Mobile Communications D J Koh, presented the Galaxy Note 8 to the world in an impressive fanfare and stage presentation. Clearly still reeling from the PR disaster of the exploding Note 7 and on the rebound from the successful Galaxy S8 launch, expectations were high. This is the first product presentation I’ve ever watched and I have to say that it was an impressive spectacle. Using very clever graphics and back drops, where even the floor came alive, the Note 8 seemed to burst from the auditorium and when D J Koh took one of the devices from his jacket pocket, naturally there was a massive applause. Still not quite on the evangelical scale of Steve Jobs’ almost mythical product reveals, the entire presentation was slick, expensive looking and definitely geared towards the legions of loyal Note fans. 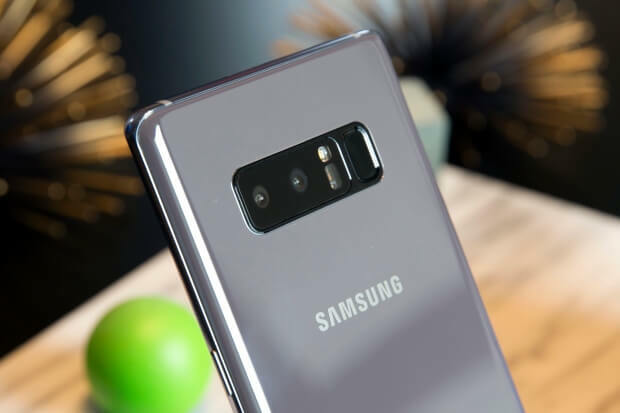 The impressive specifications of the Note 8 were never in doubt and when the 6Gb of RAM, 6.3″ Super Amoled Infinity screen and dual rear cameras were confirmed, a huge round of applause erupted from the audience. For the moment, this is the most powerful flagship smart phone on the market with a price tag to match. But clearly Samsung was eager to put the Note 7 disaster behind them and I’ve no doubt that, with such a loyal following of Note supporters, they’ve succeeded. It’s an expensive device with prices in the US being $929, UK £869 and Australia AU$1499 for the sim-free unlocked versions. I’m lucky enough to own a Galaxy S8 and although the Note 8 specs are particularly drool-worthy, I have to say that the new device won’t be tempting me away from the S8 for the moment. Not because I’m not impressed; far from it, I am. But because the S8 is practically the same phone as the Note 8 and for the time-being it still has the birthday wow factor and is at the top of my list of shiny things. about battery life??? better camera – so what??? high cost. not for me. The battery life on my S8 is excellent and with reasonable use will last two days. It’s smaller than the battery on the Note 8 and you know, cameras on smart phones are now indispensable and will get more powerful whether we like it or not Hank. i have to say that the quality of pictures on the S8 and Note 8 are out of this world. Samsung really blew it!!! The Note 8 has it all except for the one thing heavy users must have…REMOVABLE BATTERY!!! I disagree completely John, they absolutely nailed it. Removable batteries are indeed an advantage from a service and convenience point of view, but fewer are being made now with that feature. My Galaxy S3 has a removable battery and this was continued till the S5. I imagine that water resistance is another factor along with improvements in battery technology. It is indeed an expensive piece of kit, but like everything, it’s sure to come down in price in a few months time. I’ve no doubt that Samsung is developing the Galaxy S9 as we speak, especially with the iPhone 8 and whatever anniversary editions Apple has planned. 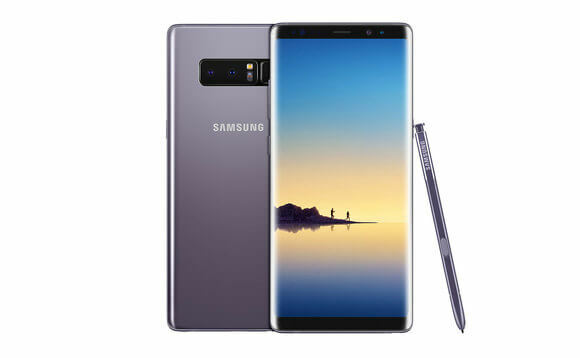 Marc, I have finally pulled the trigger and purchased the Note 8. I have to say it is one hell of a phone! I am not going to say it is the best buy for the buck but except for the new iphone 8 there is nothing like the Galaxy 8 line. Having a separate speaker for media and phone is a plus, I knew the photos were going to be better but they are absolutely incredible the image displayed is brighter and clearer than any phone I have ever seen. Battery life is very nice. I have always thought iphone users were loosing out because they did not have a removable battery but now I know why. The phone comes with a wireless charger that is incredibly fast but unless I am doing a lot of photos, videos and gps I only charge it every couple of days. My Samsung 6 needed to be charged twice a day or swap batteries. The above-mentioned features along with the pen, dual apps, and a very large memory are just some of the great things about the phone, However, there are some downsides. The backlog to get the free charger and the 128g storage means I have to wait until Dec before they are delivered. The adapter required to use a wall charger is very wearisome to me because it is so small, it can easily be misplaced or lost. The instructions for the camera are excessively inadequate it has so many features it should have come with a manual. Needless to say, I will be doing a lot of experimentation and let you know what I find.